An ideal procedure for patients over 50, SuperSight Surgery® will rejuvenate your eyesight, as an investment in yourself for the future. If you would need spectacles to see up close and begin to notice your distance vision is now not quite as good as it once was, these will be some very interesting news. 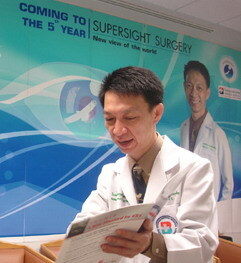 Each year, more and more people are choosing to have their vision correction surgery corrected by SuperSight Surgery. Why ? Simply, we off better vision at better value. and highly experienced and dedicated physicians. People view this as an investment in themselves and their future. Individuals consider the option of refractive surgery for a variety of (very personal) reasons, which will be more freely to pursue their hobbies, sports activities or career options. SuperSight Surgery may even reduce the anxiety produced by simple tasks, like watching their steps while walking down stairs with multifocal glasses. For those who spend a considerable amount of time on the road, being less dependent on glasses or contact lenses promises numerous advantages, from safety to convenience. Many people concern about the safety of their children or clients if they would lose their glasses while working or trying to escape from a burning building, for example. From weekend warrior to professional athlete, many wish to reduce their need for contact lenses or glasses for safety or performance reasons. With this SuperSight Surgery you can read your golf scorecard with your near vision, focus on the ball on the tee with your intermediate vision and then using your distance vision watch it gently arcing onto the green. When people have had SuperSight Surgery, the words of mouth to describe transformation to their friends and family are short but telling. No pain - LOTS OF GAIN! A whole different world, bright and new! It is a miracle to wake up and see. Best money I've ever spent. Very simple procedure with wonderful results! Why didn't I do this sooner? This was the best thing I've ever done. I don't know why I waited as long as I did. SuperSight has changed my life. It's been a year since my last SuperSight procedure. I love it and wish I had done it sooner. SuperSight Surgery is absolutely amazing! My life has dramatically changed... I see a new beautiful world! SuperSight Surgery is an ideal procedure for presbyopic people who are over 50 and sick of wearing reading or bifocal glasses. You will have the ability to perform your normal activities without need of glasses or contact lenses; this can be an important turning back of the clock, visually. 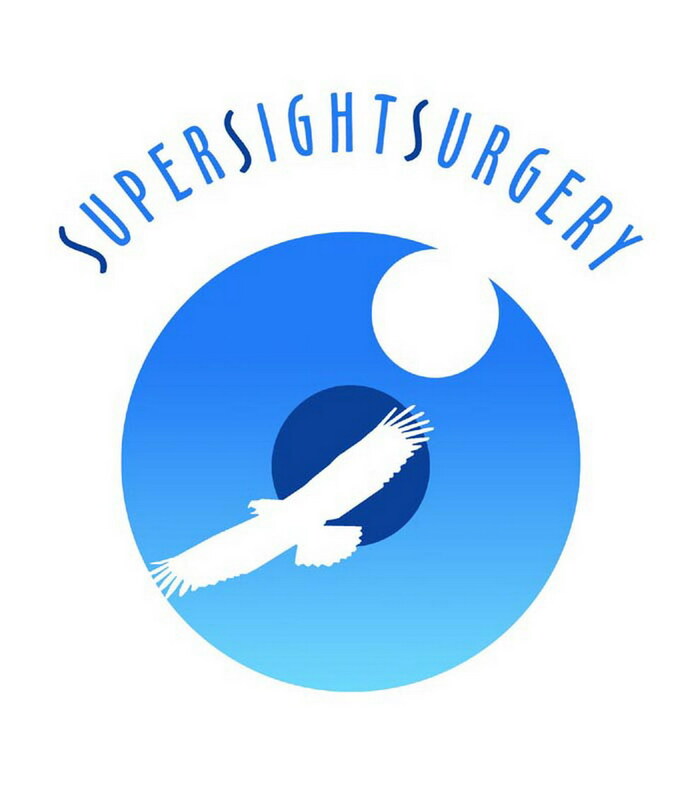 SuperSight Surgery represents the latest development in artificial lenses, which can provide patients with a better quality of life. The lenses are designed to give most patients the ability to perform their normal activities without the need of glasses or contact lenses. Unlike traditional artificial lenses, distance and near can be seen in focus without spectacles. Dr. Somchai is one of the finest eye surgeons in the country that are experienced and qualified in the use of this special lens for SuperSight Surgery. SuperSight Surgery offers a better solution. 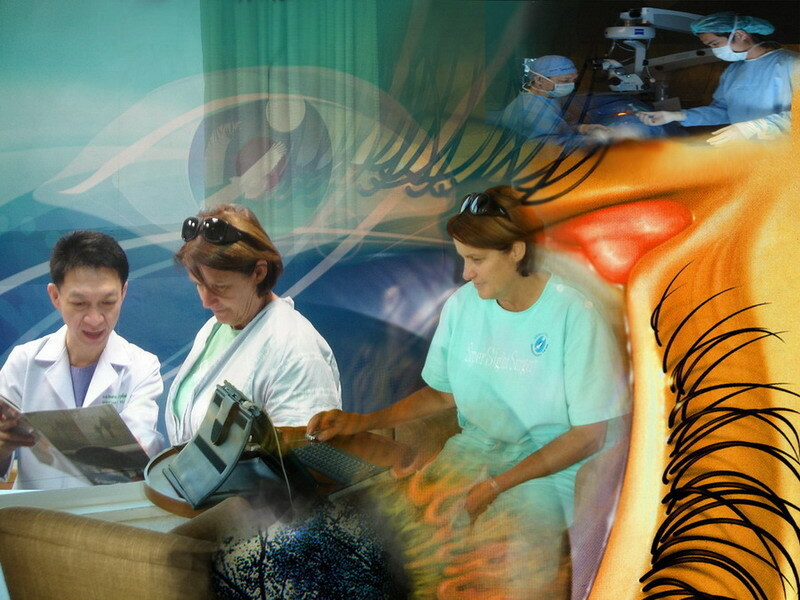 The surgical procedure used is identical to the proven safe and effective procedure used for cataract surgery. Unlike procedures that focus only on changing the shape of the cornea, SuperSight Surgery works on the lens inside the eye. In addition, cataract surgery is unnecessary later in life. The cost of SuperSight Surgery is higher when compare to other refractive procedures like LASIK or CK, however, is the fact that none of which have been proven effective for the types of vision conditions that SuperSight Surgery corrects. You can meet your satisfaction!